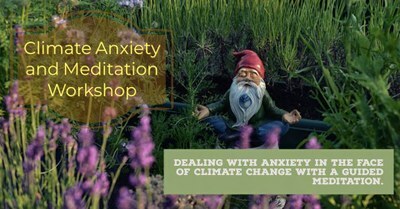 Join us in UofL's organic Garden Commonsfor a wellness workshop on climate anxiety. Do you feel extreme anxiety in the face of news about climate change and environmental disasters? Come learn tools for resiliency and be guided through a meditation created specifically for this purpose. Co-sponsored by the UofL Sustainability Council, Office of Health Promotion, and Get Healthy Now!